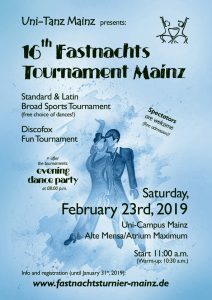 The tournament takes place in the right assembly hall („rechte Aula“) of the former canteen (Alte Mensa) of Mainz University. 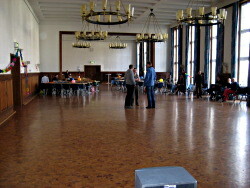 It is a grand room with new parket flooring. Changing facilities are located within the same building, in close proximity.